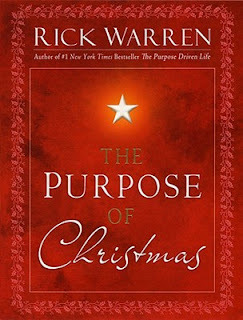 ...my true love gave to me...the book, "The Purpose of Christmas" by Rick Warren. Thanks, Honey! I have read half of it this morning. Will finish it tonight. Encouraging little book with strong evangelistic potential! Great one to buy and give as gifts to unsaved neighbors and friends. If they read it, they will get the clear and strong gospel.